Likes: Moisturizes and brightens really well! Gripes: Stung my face a little, expensive! 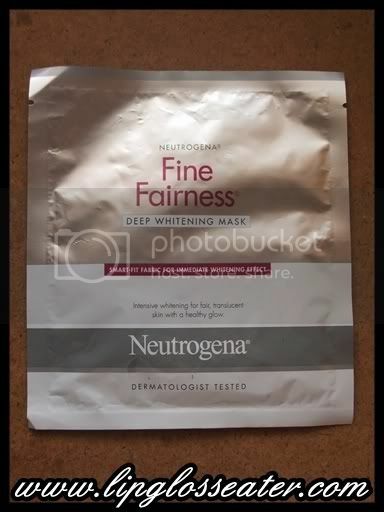 The new NEUTROGENA Fine Fairness® Deep Whitening Mask contains NEUTROGENA HealthyWhite Complex® made of essential vitamins and active proteins from natural plants. 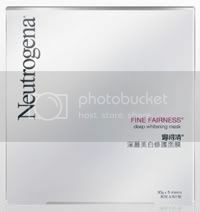 Clinical data have proven that NEUTROGENA HealthyWhite Complex® penetrates deeply into the skin, suppressing melanin production to reduce skin dullness and improve uneven skin tone, for intensive and long lasting whitening. The new SMART-FIT fabric with 14,000 Micro-holes comfortably fits the skin to ensure more essence infuses deeply into skin for immediate whitening effect. Skin is fair and translucent. I'm so happy that i did give this one a chance! I love how moisturizing it is, and it softens and brightens my face so well!! 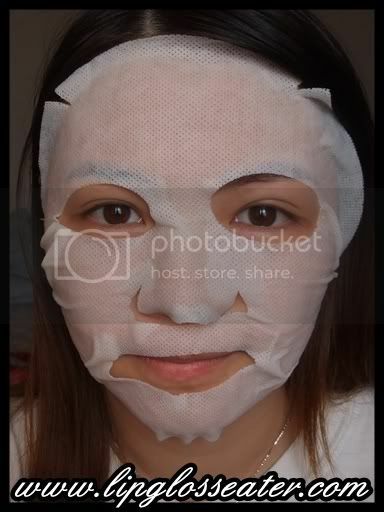 Nikki: ahaha... :P :P This mask is amazing... i really like it although i wish it wasnt so expensive! Does it say how frequently you can safely use the mask? 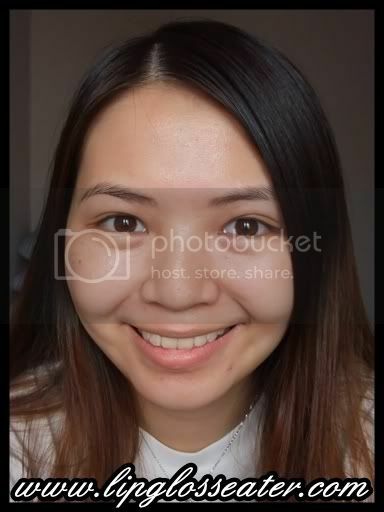 I would be interested in using a product like this as often as possible - I had to go outside during the day a few times this summer and I would like to get my face back to white. 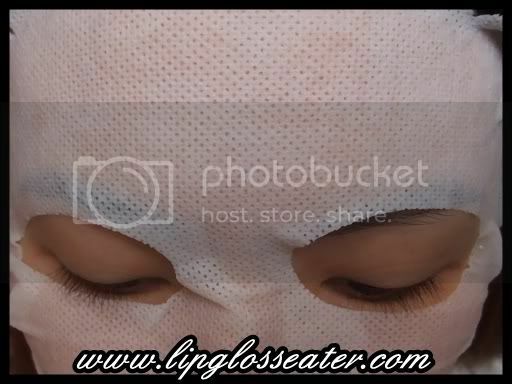 But I wonder if a product like this is safe for daily use or would be harmful to the skin? BTW, the mask fabric looks very cool too!